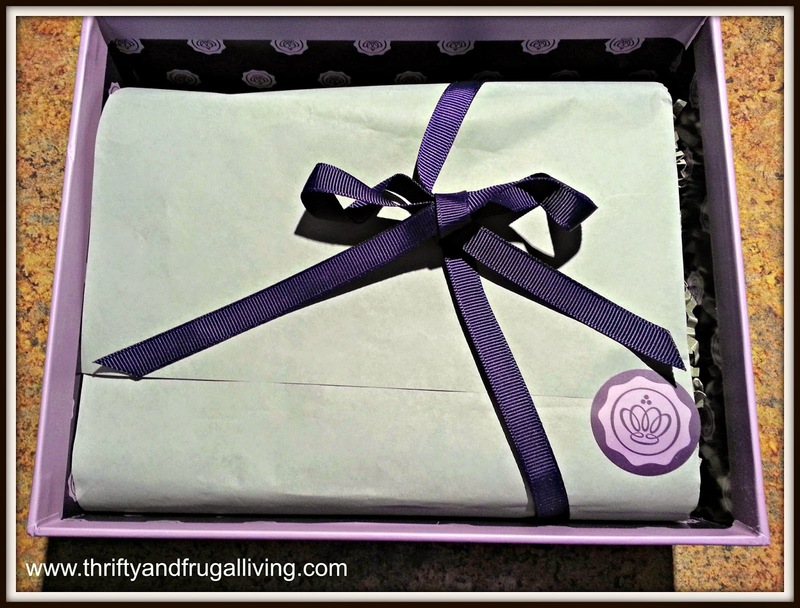 If you haven't heard of Glossybox yet, you are missing out. GLOSSYBOX is a monthly subscription box that delivers 5 luxury beauty products that include niche, high-end and emerging brands to your doorstep monthly. 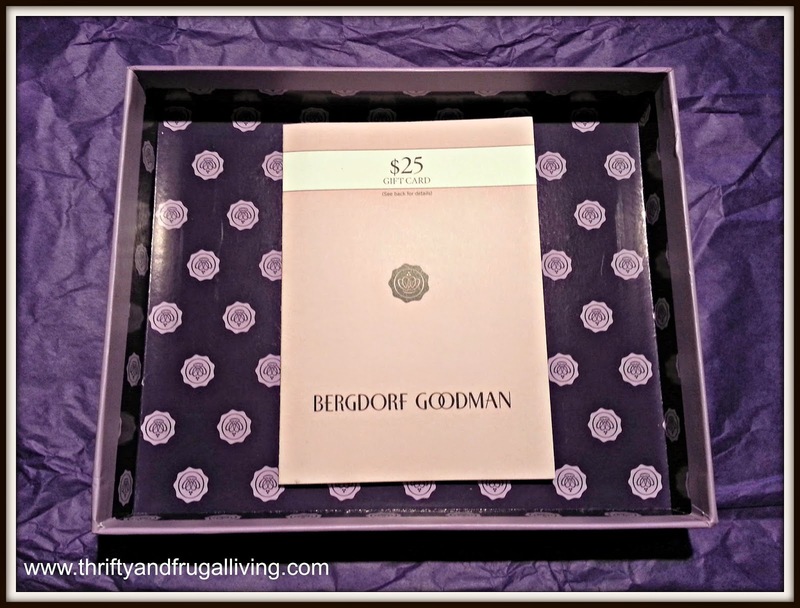 *$25 Bergdorf Goodman gift card – This may just be the best thing I have EVER received in a sample box. I kept waiting for some catch because any other time I have received a “gift card” from a sample box it has had a catch like “$50 gift card when you spend $125”. Umm..No thanks. This however was a legit $25 gift card! Also, Bergdorf Goodman has free shipping and hundreds of beauty products under $25. I literally spent hours on the Bergdorf Goodman site trying to decide what to get. I decided on a full size Alterna Bamboo Volume Pumping Hair Strand Expand and tossed in a eye pencil sharpener to make it $25 even. I never even had to enter my credit card info. Major score. *Napoleon Perdis Auto Pilot Pre-Foundation Skin Primer ($45 for 1.7oz, 0.5oz= $13.24) - This skin primer smells a little weird (kind of like old people perfume), but luckily the smell fades pretty quickly. I do like the way it smoothes my skin and makes it feel hydrated. *Revive Eye Renewal Serum Firming Booster ($140 for 0.5oz, 0.10oz= $28) - This eye cream is pretty nice. It has a cooling effect and makes the skin underneath my eyes feel amazing. This is something I would never be able to afford, so I am happy to be able to try the sample. *Philip B Light-Weight Deep Conditioning Crème Rinse ($26 for 6oz, 2oz= $8.67) - When I first tried this conditioner it felt a little off. I kept squeezing more and more out of the bottle to get the feel that I am used to of conditioner in my hair. However, when I rinsed it off my hair was super soft and silky. I have been using it every few days since and I really like it. This was a really large size sample! 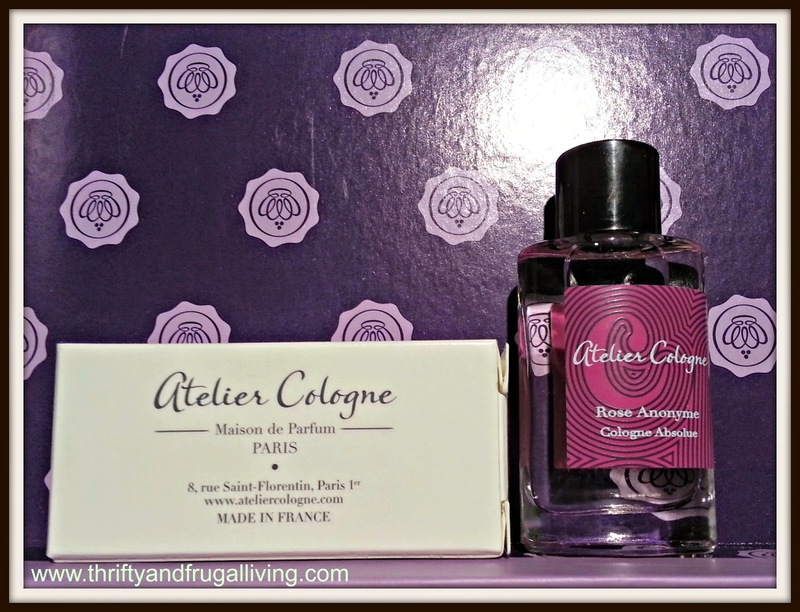 *Atelier Cologne Rose Anonyme Cologne Absolue ($140 for 3.4oz, 0.24oz= $9.88) - I already know and love this perfume and I was THRILLED to receive such a large sample of it. It is a complex perfume that seems to smell different on me with each whiff. Sometimes it smells like roses, other times it smells spicey. It is amazing and definitely outside of my price range. *Lancer Eye Contour Lifting Cream ($95 for 0.5oz, 0.17oz= $32.30) - This eye cream is a lot thicker than the Revive one. It seems extremely heavy duty. It makes the skin under my eyes feel amazing. It has a very slight cooling effect followed by a little tingling sensation. I do feel this one on my skin afterwards more and it does have a bit of a funky smell though. I think I prefer the Revive eye cream. *Lancome Absolue L’Extrait Regenerating Ultimate Elixir ($360 for 1.7oz (51ml) , 5ml= $35.29) - $360 for 1.7oz....ohh my. This ridiculously expensive cream (it is a cream although it says elixir) feels good on my skin, but also heavy. If that makes sense. I honestly don't care for it and I don't think I would buy it even if it was decently priced. Wow! Considering that Glossybox is only $21 (or less) a month, that is amazing! I think this is the most high value subscription box I have EVER received. FOUR of the products (including the gift card) received in the box had a value higher than the total cost of the box. I definitely loved this box overall. There are a few individual items that I don't necessarily love, but I can and will use them all. Are you considering signing up but not quite sure? I have a promo code for you to receive June's box for free. Purchase a 3, 6 or 12 month subscription today (June 30th) and use code "2JUNE" to get and extra June box to gift to a friend! *Disclaimer: I received this box for free in exchange for this post. There are also affiliate links contained within the post. All opinions are completely my own. That is a dream box!! I definitely need to look into this a little more seriously. Thanks for the amazing post! Ummmmmmm wow your title stopped me in my tracks and I had to come over that is a major score! This is a great box! I have to sign up for them! Thank you for sharing! What a fun Glossy Box! I love Bergdorf Goodman. This looks like an awesome box! Pretty. And what a great deal! At $21 a month, this is one of the more affordable boxes. It seems like you made out well and were given the opportunity to try some real nice, expensive products. I think it is great to be able to try before you buy a product to see if you like it and these sample boxes are a good way to do it. Enjoy yours. I love these boxes. Thank you for your review. I have an Ipsy Subscription. I have been looking at Glossybox for a while now. I wish I would have gotten this box!